This fall on PBS, 100 novels will compete for the prestigious title of America’s Best-Loved Novel. 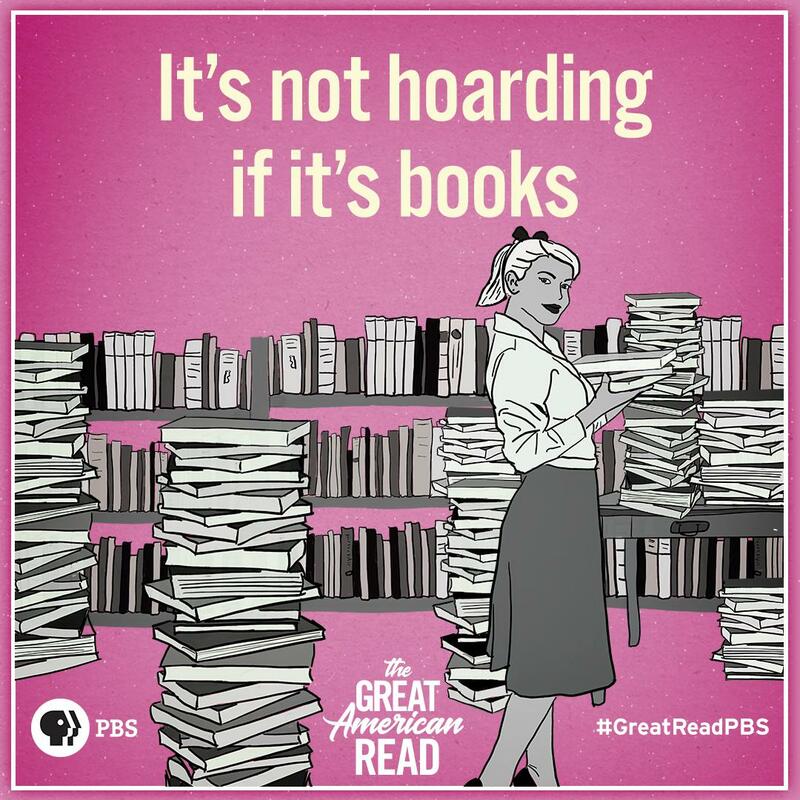 PBS’ The Great American Read is an eight-week television series that explores these titles in depth and showcases just why they are so treasured in our society. And we want you to be a part of the discussion! 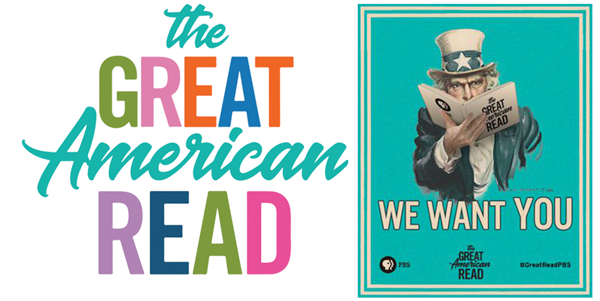 On Wednesday, September 5 at 6 PM, we’ll be kicking off The Great American Read by watching the special, two-hour launch that reveals all 100 titles that made the initial cut. Then, starting Tuesday, September 11, join us every Tuesday at 6 PM until October 23 as we take an even closer look at these titles. Each episode is one hour long and will be followed with discussion as well as a chance to win some neat prizes! So how can you be sure your favorite book wins? You can vote once a day, every day on PBS’ website here. Love more than one of the 100 books featured? No worries! Vote for one favorite on Monday, and another favorite on Tuesday. All of these votes will decide America’s best-loved novel, which will be announced during October 23’s finale. Here’s the lineup for The Great American Read. All episodes will be shown at 6 PM in the library’s Multipurpose Room. EPISODE 3: Tuesday, September 18: Who Am I? 100 books are now slashed to 25. Which will become America’s best-loved novel?